Although "Prince of Preachers" Charles Haddon Spurgeon lived before the advent of modern psychology and counseling, he had deep insights into mental and spiritual elements of mankind. He experienced many of the trials of life that others encounter, both mentally and physically. 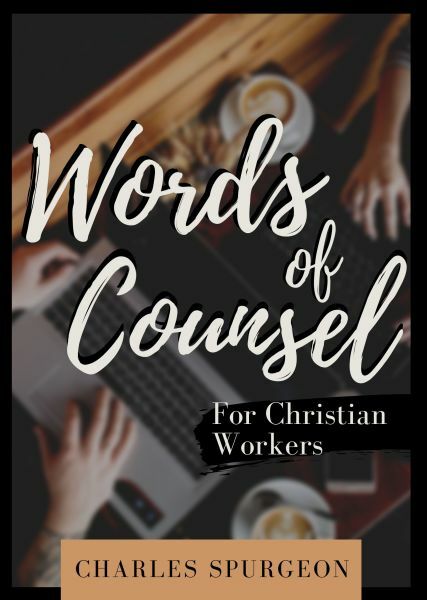 In Words of Counsel for Christian Workers, Spurgeon writes about 'hard work and its reward', 'workers reading to profit', 'saving a soul from death', 'restoring those who have erred', 'a great leader and good soldiers', and more.